Homeschooling during the holidays can be a challenge - most families are busy and it's easy for schooling to take a backseat to cooking and cleaning for holiday parties, wrapping and shopping, church and group obligations, decorating, volunteer work, and family get-togethers. How do you manage? 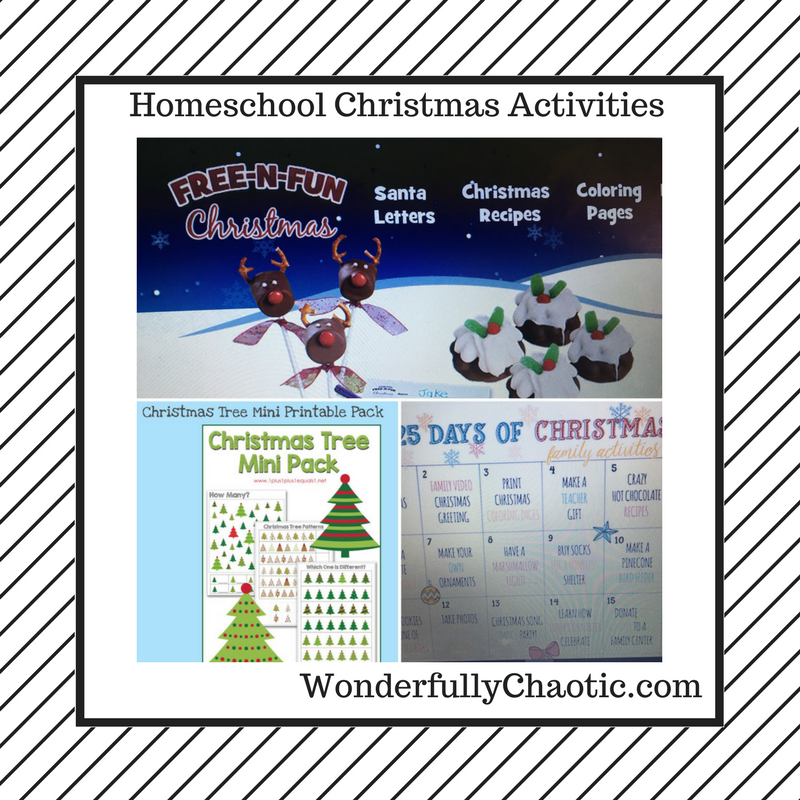 I'm joining up this weekend with other bloggers from the IAHE Social Media team to share how we homeschool through the holidays. DLTK's Christmas Winter Crafts & Children's Activities - DLTK was one of the first sites I stumbled upon when I began homeschooling. In addition to a huge amount of activities and printables for everyday, they offer holiday themed ones as well, along with coloring pages, games, crafts, puzzles, poems, prayers, songs, and worksheets. I'm actually using a few things on there for our children's Christmas program at church this year. Need some inspiration for your holiday baking? My kids absolutely love to help in the kitchen! Sometimes it's a challenge being patient with them while they inevitably make messes but it's all part of the learning experience. Check out There's No Place Like Home's 25 Christmas Goodies to Make With Your Kids or 10 Kids Christmas Recipes from B-Inspired Mama. From Grinch Cookies to Strawberry Santas, there's definitely something on there to suit your family! Christmas Tree Mini Printable Pack. Check out the other bloggers of IAHE and read about how they homeschool through the holidays - and be sure to check back as we'll be blogging on the IAHE Convention and more over the next few months! Love all of these options...I have so much respect for my homeschooling mama friends! !